Looking for the ultimate business opportunity? We’ve got two words for you: “GRAMS Diner. Think about it. 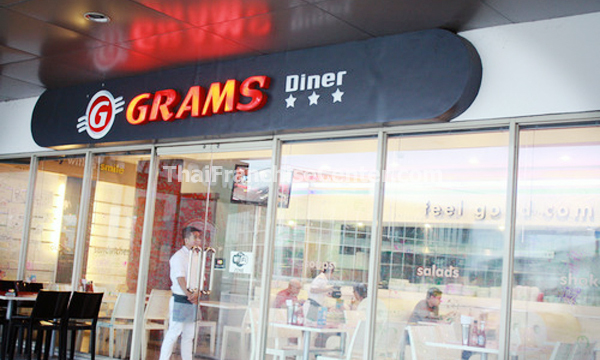 GRAMS Diner is the capital of feel good comfort food and as you’ll discover, it’s also a favorite gathering and hang-out place for everyone to enjoy. “Why put up a diner?”. The answer is quite simple. People love going to diners. Aside from serving no frills, home-style meals, diners are comfortable, accommodating and non-intimidating. A diner is a neighborhood gathering place where there’s something for everyone at any time of the day or night. There’s just something special about the diner, from neon lights to cool diner music to the friendly people. So when partners Ricky and Winie Gomez wanted to start a family style resto that bridges the gap between fast food and tablecloth restaurants, the diner was the perfect answer. The partners spent over a couple of years to understand the timeless appeal of diners. What made diners successful? Though diners are known for their unique ambiance and home-style cooking, the heart of what brings loyal customers back to the diner again and again is the warmth of its people. It’s the folks who serve you and make you feel welcome that makes a diner feel like home away from home.